Your finer products deserve to be displayed properly. 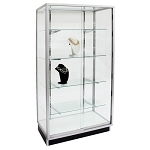 This 70 inch Extra Vision Metal Framed Display Showcase will give your premium items the extra attention they need. 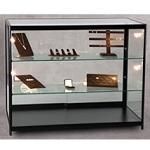 A combination of tempered glass, anodized aluminum frame, and sturdy melamine finish give this display cabinet the needed strength in an elegant fashion. 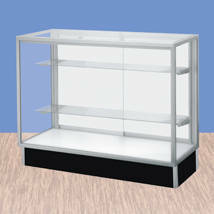 This glass display is also available in a 48" wide or 60" wide version. Want to really make an impact? 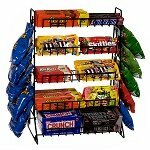 Add the corner showcase as well to create an incredible retail display. Order your impeccable enclosed showcase now and get ready to top the sales charts!